ENCINITAS — When Asya Anderson wrote a letter to her favorite restaurant, Leucadia Pizzeria, as part of a classroom assignment back in January, she didn’t expect them to write back. As it turns out, the 11-year-old La Costa Heights Elementary School student was about to learn the power of her own voice. 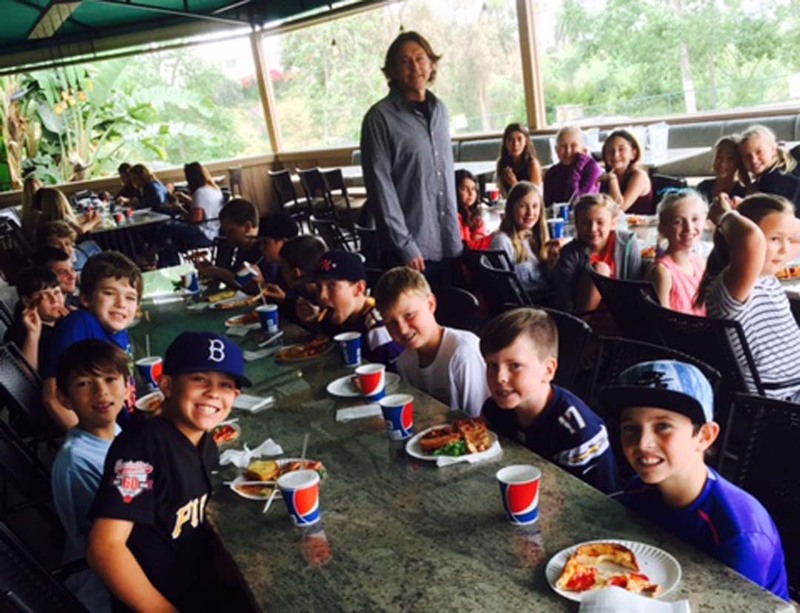 On May 27, Asya, her classmates and 10 parents were treated to lunch at Leucadia Pizzeria and the owners, Linda and Chip Conover, picked up the tab. Asya was not the only person surprised by the outcome. Natalie Christ, Asya’s teacher, has been doing the letter-writing project for years with her students. “I have been teaching for 17 years, and never has an establishment paid it forward in such a generous manner,” Christ said. It also surprised Asya’s father, Karl Anderson. The class project was aimed at helping the students meet a fifth-grade standard of opinion writing, as well as empowering students to find their voice and feel confident in sharing that opinion with others, part of the school’s “Leader of Me” philosophy. Of the 31 students, only nine received responses. Some establishments didn’t even open the letters, and others wrote back terse responses telling the students to solicit donations from a local branch. “We were all a little disappointed in that,” Christ said. A few establishments sent back coupons for free dinner for the students, but Asya’s letter engendered the most generous response — it just took time for it to come to fruition, Christ said. Chip Conover originally called Christ in January after receiving the letter, and they spoke about the letter and Conover told her that he would provide the class with a pizza party or a visit to the pizzeria, their choice. Christ said she floated the idea of having a party after the students completed their state testing in May. Months passed, and Conover followed up with a letter in May, which rekindled the conversation. It took a few weeks to get school approval and the requisite number of parent volunteers to drive students to the restaurant, but on May 27, a Friday, the students arrived at the pizzeria to a spread of salad, pasta, pizza and cookies for dessert. Karl Anderson said he was ecstatic to see the hard work his daughter has put in with her writing pay off.